Studies show that most people’s new year’s resolutions are pretty much dead in the water by now, but there’s nothing like a really audacious goal to re-start your resolutions, and it’s not too late to decide you’re ready for a full marathon in 2019. We spoke to Toronto chiropractor, running coach and 2:40:46 marathoner Brittany Moran for some guidance on how to do exactly that, even as early as this spring. What this might look like in practice is one of two options. 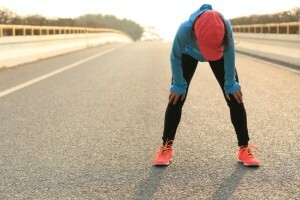 You could target a half-marathon or 30K race in the spring, and then, after an appropriate period of rest, transition into a full marathon build-up with the strong volume base you built in the spring and targetting a fall marathon. 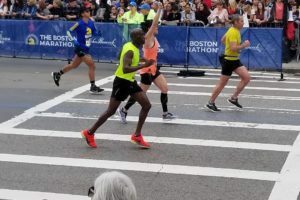 The main difference between a half-marathon plan and a full-marathon plan (for those tackling their first full marathon) in terms of time and volume is the length of the weekly long run. You want to be able to run 16K to 20K slowly but comfortably before embarking on a marathon training plan, since you will need to increase the length of your long runs by 2K each week. (Don’t try to go up more quickly, since your risk of injury will go up significantly if you increase your total weekly volume by more than 10 per cent per week.) Most coaches recommend that your training calendar should include at least three 32+K runs, allowing space for a two-week taper between your last long run and race day. “You also need to make sure you are practising your fueling and hydration plans, as this is critical to marathon success,” Moran adds. “I often encourage my athletes to think of the long run as a dress rehearsal for race day. That way you can go into the race feeling that much more prepared.